The Tyler Vessel 1TH is a sleek and stylish top-mounted vessel basin that is the perfect choice for contemporary bathroom designs. Available in an attractive square shape with curved corners, the Tyler Vessel 1TH basin will complement any contemporary design. It offers the perfect blend of style, practicality, and affordability in a single package. 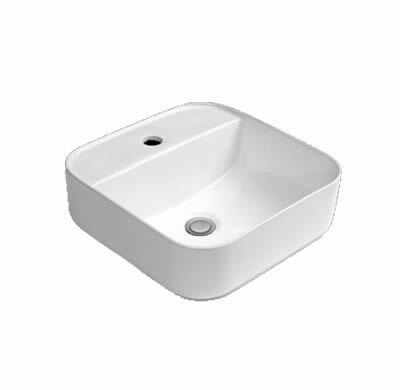 The Tyler Vessel 1TH basin measures 390x390x125mm in dimensions. 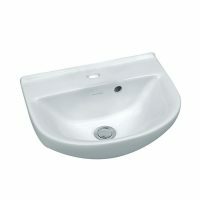 The Tyler Vessel 1TH basin is designed for easy installation in any space and is also very easy to clean and maintain. Its geometric shape will also do very well to complement modern bathroom fittings and accessories. While this vessel basin includes a single tap hole, the waste is sold separately. 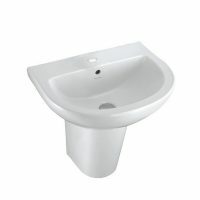 Experience the highest standards of quality with this vessel basin. It is made out of top quality ceramic and is extremely durable. Rest assured that this basin features top-notch artistry and that it is built to last. 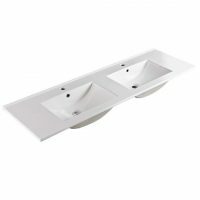 For modern, yet affordable vessel basins in Perth, you’ll find nothing better than the Tyler Vessel 1TH from Ross’s Discount Home Centre. Shop from our online store to purchase this stylish vessel basin at a discounted price today!